Researchers from the University Of New South Wales(UNSW) in Australia have successfully demonstrated that they can write and control the quantum version of computer code on a silicon microchip. Computers, at the moment, use binary language to operate, 0 and 1. Together, these two bits generate code words that can be used to program complex commands. But in quantum computing language there's also the option for bits to be in superposition, what this actually means is that they can be 1 and 0 at the very exact same time. This unlocks a massively more powerful programming language, but until now scientists haven't been able to figure out how to write it. So how do you exactly write quantum code? It actually all comes down to a phenomenon called as quantum entanglement. 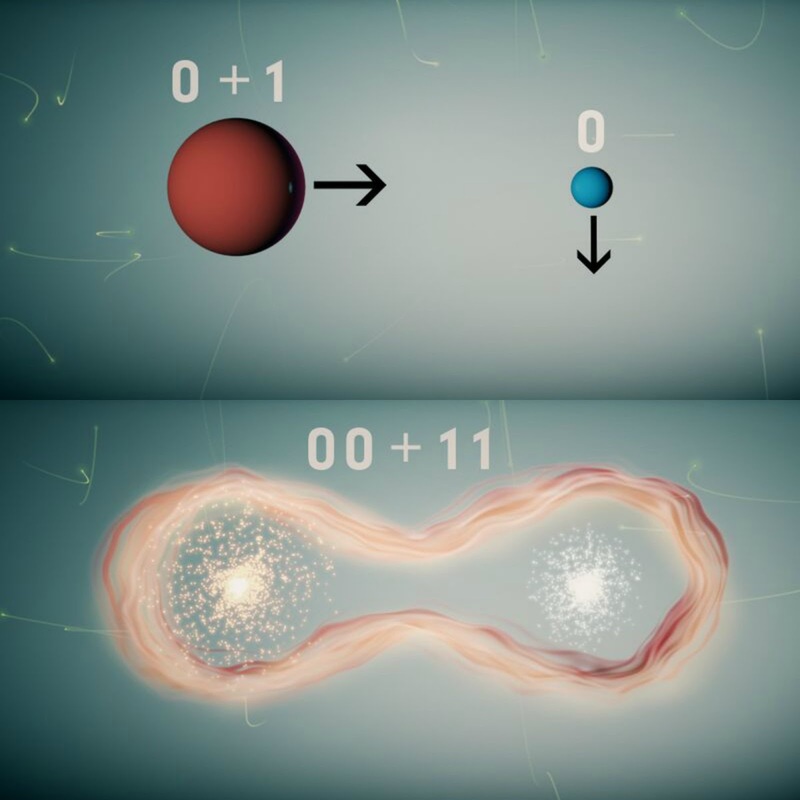 According to quantum entanglement when two particles are entangled, it essentially means that the any effect on one of them will rapidly affect the state of its entangled particle, even if it's thousands of kilometers away. Entanglement has been verified time and time again through something by something called as Bell's test, which obliges researchers to violate Bell's Inequality Principle. Essentially, Bell's Inequality Principle imposes a limit for the amount of connection there can be among two classical bits – anything above that must be quantum entangled. In the experimenting carried out by Australian researchers, the two entangled particles in question were the electron and the nucleus of a lone phosphorous atom, which was located within a silicon microchip. By entangling the two particles, they made it so that the state of the electron was completely reliant on on the state of the nucleus. This actually meant that they extended on the four imaginable digital codes that can be finished with two traditional bits (00, 01, 10, or 11) to being able to generate a much extensive set of code words with two entangled bits, such as 00+11, 00-11, 01+10 or 01-10. The next step is to entangle further particles and generate more complex quantum code words, so that the researchers can start to program a complete quantum computer. The research has been published in Nature Nanotechnology.